Potential new owners often ask if we bottle feed our kids, following closely with "but are they friendly?" when informed that we allow our dams to nurse their kids. Others are disappointed that we will not sell a kid until weaned. Many people think that unless a kid is bottle-fed, they will not be friendly or seek interaction with their human companions. Here at James Hill, we strive to rear and keep our goats in as natural a manner as possible. This includes allowing the dams to rear their kids except in the rare occasion that illness or injury prevents it. The mother's first milk (colostrum) is full of enzymes and antibodies critical for the health of the newborn offspring. The maternal-infant relationship is important for the mental well-being for both parties involved. 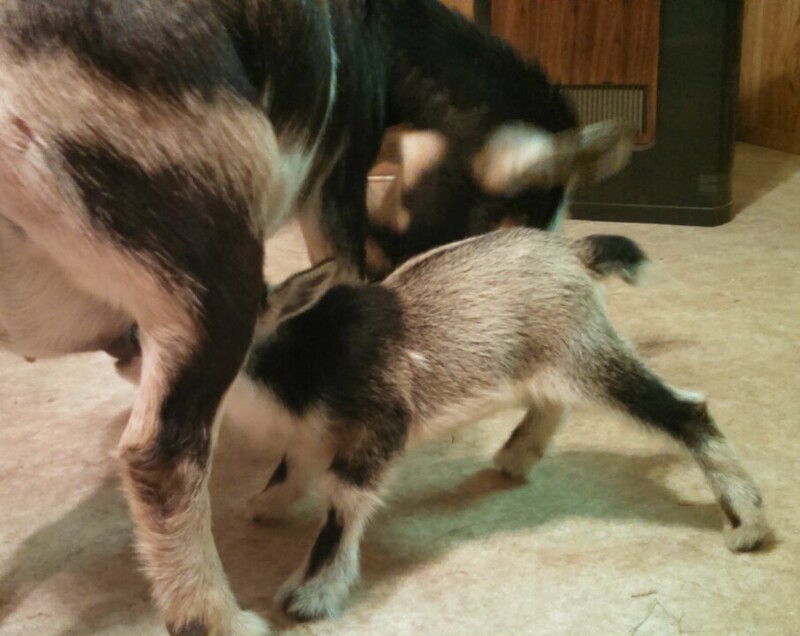 Time spent with the dam teaches the kid how to, well...be a goat! We attempt to be present at all kiddings, both to offer assistance as necessary and to interact with the kids immediately after birth. Our kids are handled daily, and within their first few days will seek us out to "play". Does this method accomodate the development of the human-animal bond? 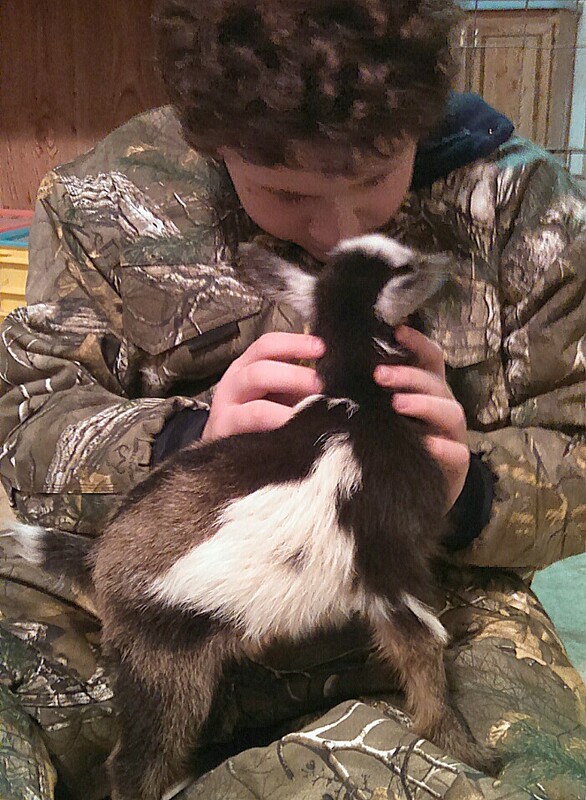 Anyone who has been to our farm will tell you that the goats we raise ARE friendly. In-your-pocket, help-with-everything, can't-you-take-me-with-you kinda friendly! But they also behave in a natural manner and develop relationships within their caprine herd. It truly is the best of both worlds.